Raleigh ( /ˈrɑːli/ ; RAH-lee)  is the capital of the state of North Carolina and the seat of Wake County in the United States. Raleigh is the second-largest city in the state, after Charlotte. Raleigh is known as the "City of Oaks" for its many oak trees, which line the streets in the heart of the city. The city covers a land area of 142.8 square miles (370 km2). The U.S. Census Bureau estimated the city's population as 479,332 as of July 1, 2018. It is one of the fastest-growing cities in the country. The city of Raleigh is named after Sir Walter Raleigh, who established the lost Roanoke Colony in present-day Dare County. Raleigh is home to North Carolina State University (NC State) and is part of Research Triangle Park (RTP), together with Durham (home of Duke University and North Carolina Central University) and Chapel Hill (home of the University of North Carolina at Chapel Hill). The "Triangle" nickname originated after the 1959 creation of the Research Triangle Park, located in Durham and Wake counties, among the three cities and their universities. The Research Triangle region encompasses the U.S. Census Bureau's Raleigh-Durham-Chapel Hill Combined Statistical Area (CSA), which had an estimated population of 2,037,430 in 2013. The Raleigh metropolitan statistical area had an estimated population of 1,214,516 in 2013. The Research Triangle Park (RTP) is the largest research park in the United States. It is named for the three hub cities of Raleigh, Durham, and Chapel Hill, or more properly for the three major research universities in those three cities. The Research Triangle region of North Carolina received its name as an extension of the name of the park. Besides the three anchor cities, the park is also bounded by the communities of Morrisville and Cary. Approximately one fourth of the park's territory lies in Wake County, but the majority of its land is in Durham County. Most of Raleigh is located within Wake County, with a very small portion extending into Durham County. The towns of Cary, Morrisville, Garner, Clayton, Wake Forest, Apex, Holly Springs, Fuquay-Varina, Knightdale, Wendell, Zebulon, and Rolesville are some of Raleigh's primary nearby suburbs and satellite towns. 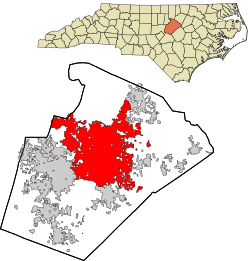 Wake County is a county in the U.S. state of North Carolina. As of July 1, 2015, the population was 1,024,198, making it North Carolina's second-most populous county. From July 2005 to July 2006, Wake County was the 9th fastest-growing county in the United States, with the town of Cary and the city of Raleigh being the 8th and 15th fastest-growing cities, respectively. Bath is a town in Beaufort County, North Carolina, United States. The population was 249 at the 2010 census. Incorporated in 1705, Bath was North Carolina's first port of entry, located on the Pamlico River near its mouth. It developed a trade in naval stores, furs, and tobacco. The Joel Lane House, also known as Wakefield, was built in 1769, is a historic restored home and museum located in Raleigh, North Carolina. It is the oldest dwelling in Wake County and contains collections of 18th century artifacts and period furnishings. The museum grounds include a detached middle class home built circa 1790, formal city garden, and period herb garden. The house is named after Joel Lane, the "Father of Raleigh" and "Father of Wake County." North Carolina seceded from the Union. After the Civil War began, Governor Zebulon Baird Vance ordered the construction of breastworks around the city as protection from Union troops. During General Sherman's Carolinas Campaign, Raleigh was captured by Union cavalry under the command of General Hugh Judson Kilpatrick on April 13, 1865. As the Confederate cavalry retreated west, the Union soldiers followed, leading to the nearby Battle of Morrisville. The city was spared significant destruction during the War. In 1880, the newspapers News and Observer combined to form The News & Observer . It continues to be Raleigh's primary daily newspaper. 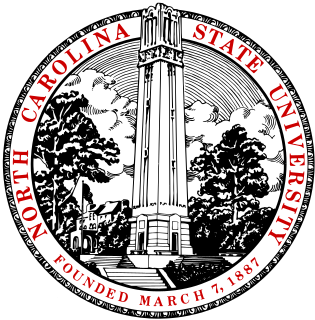 The North Carolina College of Agriculture and Mechanic Arts, now known as North Carolina State University, was founded as a land-grant college in 1887. The city's Rex Hospital opened in 1889 and included the state's first nursing school. The Baptist Women's College, now known as Meredith College, opened in 1891, and in 1898, The Academy of Music, a private music conservatory, was established. The Inside the Beltline neighborhoods include Cameron Park, Boylan Heights,  Country Club Hills, Coley Forest, Five Points, Budleigh, Glenwood-Brooklyn, Hayes Barton Historic District, Moore Square, Mordecai (home to the historic Mordecai House), Rosengarten Park, Belvidere Park, Woodcrest, Oberlin Village, and Historic Oakwood. Inside the Beltline refers to I-440 which used to be called the Beltline before being re-branded to ease driver navigation. These neighborhoods were typically built before World War II. Like much of the southeastern United States, Raleigh has a humid subtropical climate (Köppen Cfa), with four distinct seasons. Winters are short and generally cool, with a January daily average of 41.0 °F (5.0 °C). On average, there are 69 nights per year that drop to or below freezing, and only 2.7 days that fail to rise above freezing. Raleigh receives an average annual rainfall of 43.34 inches (110.1 cm). Annual and monthly (temperature and) precipitation data are in chart below. April is the driest month, with an average of 2.92 inches (74.2 mm) of precipitation. Precipitation is well distributed around the year, with a slight maximum between July and September; on average, July is the wettest month, owing to generally frequent, sometimes heavy, showers and thunderstorms. Summers are hot and humid, with a daily average in July of 90.2 °F (32.3 °C). There are 48 days per year with highs at or above 90 °F (32 °C). Autumn is similar to spring overall but has fewer days of rainfall, but greater potential for extremely heavy rainfall in a one/two day period, owing to occasional threat from tropical weather systems (hurricanes and tropical storms) packing torrential rainfall. In September 1999, Raleigh recorded its wettest month ever, with over 21 inches of rain, due to torrential rainfall from tropical weather systems, most notably Hurricane Floyd on September 15–16. 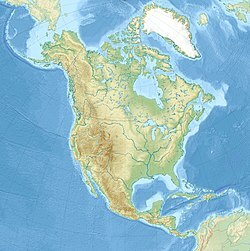 Extremes in temperature have ranged from −9 °F (−23 °C) on January 21, 1985 up to 105 °F (41 °C), most recently on July 8, 2012. Raleigh receives an average of 6.0 inches (15.2 cm) of snow in winter. Freezing rain and sleet also occur most winters, and occasionally the area experiences a major damaging ice storm. On January 24–25, 2000, Raleigh received its greatest snowfall from a single storm –20.3 inches (52 cm) –the Winter Storm of January 2000. Storms of this magnitude are generally the result of cold air damming that affects the city due to its proximity to the Appalachian Mountains. Winter storms have caused traffic problems in the past as well. As of the 2000 United States census,  there were 276,093 persons (July 2008 estimate was 380,173) and 61,371 families residing in Raleigh. The population density was 2,409.2 people per square mile (930.2/km²). There were 120,699 housing units at an average density of 1,053.2 per square mile (406.7/km²). The racial composition of the city was: 63.31% White, 27.80% Black or African American, 7.01% Hispanic or Latino American, 3.38% Asian American, 0.36% Native American, 0.04% Native Hawaiian or Other Pacific Islander, 3.24% some other race, and 1.88% two or more races. The Roman Catholic Diocese of Raleigh, the Episcopal Diocese of North Carolina, the North Carolina Annual Conference of the United Methodist Church, and the New Hope Presbytery of the Presbyterian Church (USA)  are all headquartered in Raleigh. Raleigh was number one on the 2015 Forbes list of the best place for businesses and careers. Companies based in Raleigh include BB&T Insurance Services, Capitol Broadcasting Company, Carquest, First Citizens BancShares, Golden Corral, Martin Marietta Materials, Red Hat, Waste Industries, and Lulu. The Duke Energy Center for the Performing Arts complex houses the Raleigh Memorial Auditorium, the Fletcher Opera Theater, the Kennedy Theatre, and the Meymandi Concert Hall. In 2008, a new theatre space, the Meymandi Theatre at the Murphey School, was opened in the restored auditorium of the historic Murphey School. Theater performances are also offered at the Raleigh Little Theatre, Long View Center, Ira David Wood III Pullen Park Theatre, and Stewart and Thompson Theaters at North Carolina State University. North Carolina Museum of Art, occupying a large suburban campus on Blue Ridge Road near the North Carolina State Fairgrounds, maintains one of the premier public art collections located between Washington, D.C., and Atlanta. In addition to its extensive collections of American Art, European Art and ancient art, the museum recently has hosted major exhibitions featuring Auguste Rodin (in 2000) and Claude Monet (in 2006-07), each attracting more than 200,000 visitors. Unlike most prominent public museums, the North Carolina Museum of Art acquired a large number of the works in its permanent collection through purchases with public funds. The museum's outdoor park is one of the largest such art parks in the country. The museum facility underwent a major expansion which greatly expanded the exhibit space that was completed in 2010. The 127,000 sf new expansion is designed by NYC architect Thomas Phifer and Partners. In addition to the Hurricanes, the North Carolina FC of the United Soccer League and North Carolina Courage women's professional soccer team play in suburban Cary to the west; the Carolina Mudcats, a Single-A minor-league baseball team, play in the city's eastern suburbs; the newly formed Single-A minor-league baseball Fayetteville Woodpeckers, who formerly played in Buies Creek, will begin play in the nearby out-of-county southern suburb of Fayetteville when their new ballpark opens in 2019; the Raleigh Flyers of the American Ultimate Disc League play primarily at Cardinal Gibbons High School near the PNC Arena; and the Durham Bulls, the AAA minor-league baseball team made internationally famous by the movie Bull Durham , play in the neighboring city of Durham. As of 2011, Time ranked Raleigh as the third most educated city in the US based on the percentage of residents who held college degrees. This statistic can most likely be credited to the presence of universities in and around Raleigh, as well as the presence of Research Triangle Park (RTP) to the Northwest. Public schools in Raleigh are operated by the Wake County Public School System. Observers have praised the Wake County Public School System for its innovative efforts to maintain a socially, economically and racial balanced system by using income as a prime factor in assigning students to schools. Raleigh is home to three magnet high schools and three high schools offering the International Baccalaureate program. There are four early college high schools in Raleigh. Raleigh also has two alternative high schools. Raleigh-Durham International Airport, the region's primary airport and the second-largest in North Carolina, located northwest of downtown Raleigh via Interstate-40 between Raleigh and Durham, serves the city and greater Research Triangle metropolitan region, as well as much of eastern North Carolina. The airport offers service to more than 35 domestic and international destinations and serves approximately 10 million passengers a year. The airport also offers facilities for cargo and general aviation. The airport authority tripled the size of its Terminal 2 (formerly Terminal C) in January 2011. Public transportation in and around Raleigh is provided by GoRaleigh,  which operates 33 fixed bus routes, including the R-Line  and the Wake-Forest Loop. Although there are 33 routes, some routes are designed to cover multiple other routes at times when they are not served. Depending on the time of the day, and the day of the week, the number of routes operating is between 5 and 29. Selma is a town in Johnston County, North Carolina, United States. In 2010, the population was 6,073, and as of 2017 the estimated population was 6,684. Selma is part of the Raleigh-Durham-Cary Combined Statistical Area. The area has a population over 1.7 million residents, though the town of Selma is able to maintain its rural character. The Everitt P. Stevens House, located in Selma, was the site of the last Grand Review of the Confederate Army held on April 6, 1865, after its defeat at the Battle of Bentonville. Apex is a small city in Wake County, North Carolina, around 12 miles southwest of Raleigh. It is 19 square miles of land bordering Cary and is 11 miles south of Research Triangle Park. Eight miles to the west is Jordan Lake. Apex encompasses the community of Friendship at its southern border. In 1994, the downtown area was designated a Historic District. Several buildings date to the late 1800s. It is an example of an intact turn-of-the-century railroad town. The Apex train depot, built in 1867, is designated a Wake County landmark. The depot location marks the highest point on the old Chatham Railroad, hence the town's name. The town motto is "The Peak of Good Living". The Research Triangle Regional Public Transportation Authority, known as GoTriangle, provides regional bus service to the Research Triangle region of North Carolina in Wake, Durham, and Orange counties. The GoTriangle name was adopted in 2015 as part of the consolidated GoTransit branding scheme for the Triangle. GoRaleigh is the transit system responsible for operating most of the public transportation services in Raleigh, North Carolina. The system operates 27 fixed routes throughout the city's municipal area and also operates five regional/express routes in partnership with GoTriangle, the regional provider. GoRaleigh is contracted to operate two additional routes, an express route to the Wake Tech Community College campus south of Raleigh and a local circulator service in the Town of Wake Forest. Capital Area Transit, also known as CAT, was rebranded to GoRaleigh in 2015 under the consolidated GoTransit, a joint branding of municipal and regional transit systems for the Greater Raleigh Metropolitan Region. The North Carolina Highway System consists of a vast network of Interstate, United States, and state highways, managed by the North Carolina Department of Transportation. North Carolina has the second largest state maintained highway network in the United States because all roads in North Carolina are maintained by either municipalities or the state. Since counties do not maintain roads, there is no such thing as a "county road" within the state. North Carolina Highway 54 (NC 54) is a 55.0-mile-long (88.5 km) primary state highway in the U.S. state of North Carolina. The highway serves the Research Triangle area, between Burlington and Raleigh, connecting the cities and towns of Chapel Hill, Durham, Morrisville and Cary. The highway also links the campuses of University of North Carolina at Chapel Hill and North Carolina State University. North Carolina Highway 55 (NC 55) is a primary state highway in the U.S. state of North Carolina. It serves as a traffic artery connecting Durham with Cary and numerous small cities and towns in The Triangle on its way toward the Pamlico Sound. A portion of NC 55 extends through Research Triangle Park. NC 55 is a major artery in the central part of The Triangle region, and is a four lane, divided highway between Durham and Cary and Apex. NC 55 is also a divided highway between Apex and Fuquay-Varina. North Carolina Highway 147 (NC 147) is a North Carolina state highway. The route is a 15.7-mile-long (25.3 km) freeway that connects the Research Triangle Park (RTP) to both Western Wake County and the city of Durham. The section north of Interstate 40 (I-40) is known as the Durham Freeway, while the section south of I-40 is part of the Triangle Expressway. Interstate 40 (I-40) is a part of the Interstate Highway System that runs from Barstow, California to Wilmington, North Carolina. In North Carolina, I-40 enters the state along the Pigeon River Gorge, from Tennessee. 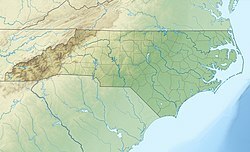 Crossing the entire state, it connects the cities of Asheville, Winston-Salem, Greensboro, Durham and Raleigh before ending along U.S. Highway 117/North Carolina Highway 132 (US 117/NC 132) in Wilmington. The landscapes traversed by I-40 include the Blue Ridge Mountains, foothills of western North Carolina, suburban communities, the urban core of several Piedmont cities, along with eastern North Carolina farmland. At a total of 423.55 miles (681.64 km), it is the longest interstate highway in North Carolina. There are five auxiliary Interstates in the state related to I-40, as well as one business loop which currently runs through Winston-Salem. The route is labeled east-west for the entire route, however the eastern portion follows a much more north-south alignment. Michael J. Smith Field is a public airport located one mile (2 km) north of the central business district of Beaufort and northeast of Morehead City, in Carteret County, North Carolina, United States. It is owned by the Beaufort-Morehead City Airport Authority. 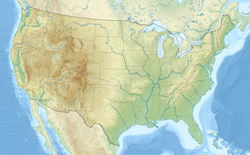 U.S. Route 70 (US 70) is a part of the United States Numbered Highway System that runs from Globe, Arizona, to the Crystal Coast of the US state of North Carolina. In North Carolina, it is a major 488-mile-long (785 km) east–west highway that runs from the Tennessee border to the Atlantic Ocean. From the Tennessee state line near Paint Rock to Asheville it follows the historic Dixie Highway, in concurrency with U.S. Route 25. The highway connects several major cities including Asheville, High Point, Greensboro, Durham, Raleigh, Goldsboro, and New Bern. From Beaufort on east, US 70 shares part of the Outer Banks Scenic Byway, a National Scenic Byway, before ending in the community of Atlantic, located along Core Sound. 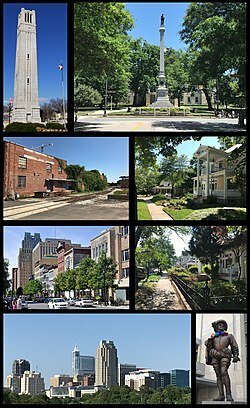 The following is a timeline of the history of the city of Raleigh, North Carolina, USA. 1 2 "Raleigh". Geographic Names Information System . United States Geological Survey. 1 2 3 "American FactFinder" . Retrieved May 26, 2018. 1 2 "American FactFinder". United States Census Bureau . Retrieved January 31, 2008. ↑ Bill Leslie (November 3, 2011). "NC Pronunciation Guide". WRAL-TV . Retrieved July 18, 2013. ↑ Tuscaloosa, Alabama, is also called the City of Oaks. "Population & Census Information". City of Raleigh. Archived from the original on July 21, 2009. Retrieved August 21, 2009. ↑ "Cary third fastest growing city in '08; Raleigh is 8th, Durham 16th". wral.com. July 1, 2009. Retrieved July 2, 2009. ↑ Fisher, Daniel. "America's Fastest-Growing Cities". Forbes.com. Retrieved May 14, 2012. ↑ "Population Estimates 2013 Combined Statistical Areas: April 1, 2010 to July 1, 2013". U.S. Census Bureau. Archived from the original on April 15, 2014. Retrieved March 27, 2014. ↑ "Raleigh Durham Annexation Agreement Lines" (PDF). Archived from the original (PDF) on October 19, 2011. Retrieved January 4, 2012. ↑ "Fact: The state capital of North Carolina is Fayetteville | North Carolina History". Nchistory.web.unc.edu. Retrieved June 1, 2014. ↑ "Raleigh History". City of Raleigh Museum. Retrieved 24 January 2017. ↑ Powell, William (1968). North Carolina Gazetteer. Chapel Hill, North Carolina: University of North Carolina Press. p. 402. 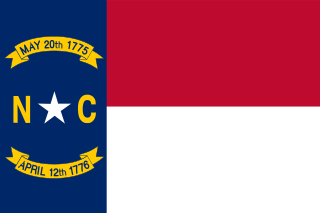 ↑ North Carolina General Assembly (1792). "To establish Raleigh as government seat" (Manuscript. Ink on paper; 8 p.). Raleigh, Wake County, North Carolina, United States: State Archives of North Carolina. p. 8. Retrieved 23 August 2017. ↑ Bishir, Catherine (2005). North Carolina Architecture. University of North Carolina Press. p. 73. ISBN 978-0-8078-5624-6. ↑ Whitfield, Peter (2005). Cities of the World: A History in Maps. Berkeley and Los Angeles: University of California Press. p. 149. 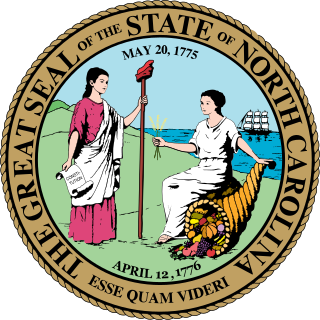 ↑ "City of Raleigh Years (1587 - 1844)". City of Raleigh. Archived from the original on November 17, 2007. Retrieved March 17, 2008. ↑ "About John Haywood". NSCDA. Archived from the original on April 5, 2005. Retrieved September 7, 2006. ↑ "The Battle of Morrisville". Ernest Dollar. Archived from the original on May 12, 2008. Retrieved March 17, 2008. ↑ "City of Raleigh Years (1889 - 1930)". City of Raleigh. Archived from the original on July 22, 2009. Retrieved March 17, 2008. ↑ "City of Raleigh Years (1931 - 1965)". City of Raleigh. Archived from the original on July 3, 2010. Retrieved March 17, 2008. ↑ "Race and Hispanic Origin for Selected Cities and Other Places: Earliest Census to 1990". U.S. Census Bureau. Archived from the original on August 6, 2012. Retrieved May 2, 2012. ↑ Christensen, Rob (November 10, 2017). "When Raleigh elected a black mayor". The News & Observer. Retrieved December 1, 2018. ↑ "City of Raleigh Years (1966 - 1990)". City of Raleigh. Archived from the original on March 2, 2006. Retrieved March 17, 2008. ↑ Gonski, Rod (November 3, 2004). "Raleigh Tornado, November 28, 1988". National Weather Service . Retrieved April 17, 2009. ↑ "City of Raleigh Years (1991 - 1999)". City of Raleigh. Archived from the original on March 2, 2006. Retrieved March 17, 2008. ↑ "Raleigh, NC". Forbes.com . Retrieved 2018-04-21. ↑ "City of Raleigh Years (1999 - 2002)". City of Raleigh. Archived from the original on March 2, 2006. Retrieved March 18, 2008. ↑ "Downtown Raleigh sees first church built in 50 years". newsobserver.com. Retrieved July 11, 2018. ↑ "Holy Trinity Anglican opens downtown". Newsobserver.com. Retrieved July 11, 2018. ↑ "New Raleigh cathedral blessed before 2,000 faithful". Catholicphilly.com. Retrieved July 11, 2018. 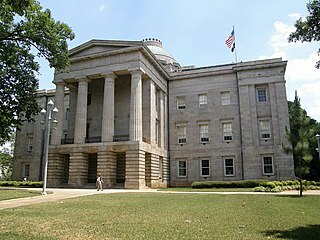 ↑ "What is under Raleigh's big copper dome? You can see on Wednesday; here's a preview". Newsobserver.com. Retrieved July 11, 2018. ↑ Reeves, Jeff (October 24, 2016). "Take a look inside Raleigh's new $41 million cathedral". Cbs17.com. Retrieved July 11, 2018. ↑ "Historic Boylan Heights Neighborhood Main Page". Boylanheights.org. Retrieved January 4, 2012. ↑ Matthew Eisley (September 20, 2009). "Who birthed Midtown". The News & Observer. Archived from the original on November 5, 2011. Retrieved November 12, 2011. ↑ Dathan Kazsuk (July 25, 2011). "Slideshow: Midtown Raleigh Alliance". Triangle Business Journal . Retrieved April 12, 2013. 1 2 3 "NowData - NOAA Online Weather Data". National Oceanic and Atmospheric Administration . Retrieved 2016-09-07. ↑ "Climate - Raleigh - North Carolina". U.S. Climate Data. November 10, 2018. Retrieved November 10, 2018. ↑ "Station Name: NC RALEIGH DURHAM INTL AP". National Oceanic and Atmospheric Administration. Retrieved 2016-09-07. ↑ "WMO Climate Normals for RALEIGH/RALEIGH-DURHAM, NC 1961–1990". National Oceanic and Atmospheric Administration. Retrieved 2016-09-04. ↑ "Raleigh (city), North Carolina". State & County QuickFacts. U.S. Census Bureau. Archived from the original on March 14, 2009. 1 2 3 "Race and Hispanic Origin for Selected Cities and Other Places: Earliest Census to 1990". U.S. Census Bureau. Archived from the original on August 6, 2012. 1 2 "Raleigh, North Carolina Religion". Bestplaces.net. Retrieved August 1, 2016. ↑ "New Hope Presbytery - Contact Us". Web.archive.org. February 13, 2012. Archived from the original on July 7, 2014. Retrieved October 30, 2017. ↑ "Welcome to the Raleigh Baha'i Community - Raleigh Baha'i Community". Raleighbahai.org. Retrieved August 1, 2016. ↑ "Religions in Wake County, NC". City-data.com. Retrieved August 1, 2016. ↑ "Raleigh | RJA". Rjainc.com. Archived from the original on June 25, 2014. Retrieved June 1, 2014. ↑ "Raleigh, NC - Forbes". Forbes.com. Retrieved June 16, 2015. ↑ "Steven P. Rosenthal – Opportunities and Balance". Gowanus Lounge. Retrieved June 1, 2014. ↑ "City of Raleigh CAFR" (PDF). Raleighnc.gov. Retrieved January 24, 2014. ↑ "ABOUT | Burning Coal Theatre Company | VENUE". Burningcoal.org. February 1, 2008. Archived from the original on August 12, 2011. Retrieved January 4, 2012. 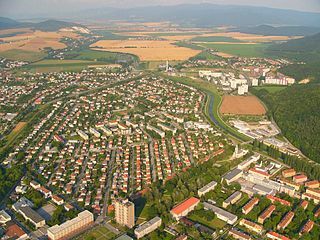 ↑ Lemberg, David (September 2, 2006). "ARTSCAPE: Dr. Lawrence Wheeler, Director, North Carolina Museum of Art, 8-25-06". Artscapemedia.com. Archived from the original on November 5, 2011. Retrieved January 4, 2012. ↑ "Monet Exhibit Sets New Attendance Record at N.C. Museum of Art". WRAL.com. January 15, 2007. Retrieved January 4, 2012. ↑ Wong, Venessa. "Which is America's Best City?". BloombergBusinessWeek. Archived from the original on July 27, 2012. Retrieved February 27, 2013. ↑ Badenhausen, Kurt (June 27, 2012). "The Best Places for Business and Careers". Forbes.com. Retrieved February 27, 2013. ↑ "The 10 Best Cities for Educated Workers". 24/7 Wall Street. Retrieved February 27, 2013. ↑ "Oklahoma City, Nashville Ranked Most Cost-Attractive Business Locations Among Mid-Sized U.S. Cities". KPMG. Retrieved February 27, 2013. ↑ Marati, Jessica. 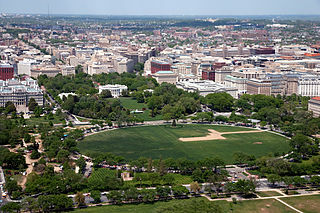 "The Healthiest and Happiest Cities in the U.S." Ecosalon.com. Retrieved February 27, 2013. ↑ Bewley, Jennifer. "Fastest-Growing Cities for Technology Jobs". Dice.com. Retrieved February 27, 2013. ↑ Van Riper, Tom (April 4, 2012). "The Best Cities for Raising a Family". Forbes.com. Retrieved February 27, 2013. ↑ Taylor, Kari. "The 10 Best Cities for Newlyweds". Forbes.com. Retrieved February 27, 2013. ↑ O'Malley Greenburg, Zack. "Best Places for Bargain Retirement Homes". Forbes.com. Retrieved February 27, 2013. ↑ "Raleigh". Forbes.com. Retrieved February 27, 2013. ↑ "NHL Attendance Report - 2017-18" . Retrieved November 29, 2018. ↑ "Raleigh Flyers". Raleigh-flyers.com. Retrieved August 1, 2016. ↑ "Raleigh Bike Polo". Raleighbikepolo.com. Archived from the original on February 2, 2014. Retrieved January 23, 2014. ↑ "City Council | raleighnc.gov". www.raleighnc.gov. Retrieved December 24, 2015. ↑ "Crime in the United States, 2010". Department of Justice — Federal Bureau of Investigation. Retrieved December 26, 2011. ↑ Courtney Subramanian (September 15, 2011). "America's Most Educated Cities: Madison and Boulder Face Off". Time . Retrieved October 30, 2011. ↑ "Homepage of The Medical Arts School in Raleigh, NC". Medicalalertsschool.com. Retrieved August 1, 2016. ↑ Siceloff, Bruce (December 21, 2008). "Rediscovering rail. Double-digit gains in statewide passengers intensify space crunch at Raleigh station". The News & Observer . ↑ "Raleigh Station". North Carolina Department of Transportation – Rail Division. Archived from the original on March 21, 2009. Retrieved April 26, 2009. ↑ "The Official City of Raleigh Portal – Capital Area Transit". Raleighnc.gov. January 1, 1970. Retrieved January 4, 2012. ↑ "Raleigh starts downtown circulator" Raleigh News and Observer. Retrieved May 25, 2009. ↑ "Regional Transit Infrastructure Blueprint". Transitblueprint.org. May 21, 2008. Archived from the original on November 6, 2011. Retrieved January 4, 2012. ↑ "27th ANNUAL NCBC BREVET SERIES - 2010 Brevet Series" . Retrieved September 19, 2010. ↑ "Raleigh is a Bicycle Friendly Community!". Raleighnc.gov. Retrieved 30 October 2017. ↑ "The Official City of Raleigh Portal". Raleighnc.gov. Archived from the original on March 14, 2012. Retrieved May 18, 2012. ↑ "The Official City of Raleigh Portal". Raleigh-nc.org. Archived from the original on January 13, 2013. Retrieved January 4, 2012. ↑ "Sister Cities Association of Raleigh, Raleigh Sister Cities". Raleighsistercities.org. Retrieved January 4, 2012. ↑ "Raleigh, North Carolina". Sister Cities International. Archived from the original on May 16, 2013. Retrieved January 29, 2013.